Want to become an action hero like Arnold Schwarzenegger? 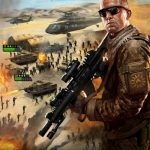 Epic War Online’s new MMO title Mobile Strike (Android, iOS) allows you to do that, as you can build your base, build up your troops, and accumulate high-end assault vehicles, facing enemies who are actually other human players from all over the world. It’s all about whose arsenal is best, and not who has the biggest army. All in all, there’s a lot of tower defense and base-building in here, and you can form an alliance with other human players and reap the benefits of your allies having your back. If you want to dominate the action and become the Head of State, it could take a while to achieve this. But it doesn’t have to be a hard road to becoming one of this MMO’s top players. 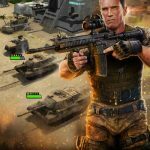 Read on and we’ll help you out with our exclusive list of Mobile Strike tips, tricks and cheats. This is probably one of the most common tips out there, but we’re going to include it nonetheless, because it’s a very important tip that could help you stay on the right track. Go to the base overview screen and look for the mission prompt at the bottom. That’s where you’ll find your main missions, which are essentially there to make sure your base is up to speed, and make sure you’re working on the right buildings, defenses, and upgrades. In addition, completing these quests, or missions, can get you a ton of rewards. The main missions are there to point you to the right direction. But the daily and alliance missions are also important. All you have to do in the daily missions is to accept them and wait till the specified time; once you reach that time, you can redeem your reward. Alliance missions require you to be part of an alliance, but work in the exact same way. Be sure you’ve got at least one of each active, and play the VIP missions too once you reach that rank. All these will help you gather lots of resources and then some. Speaking of alliances, you will really, really want to join one as soon as possible. As we mentioned above, there are myriad benefits to being part of an alliance or creating one. There’s the aforementioned alliance missions, but of course, there’s also the benefit of an alliance’s members helping each other out. When joining an alliance, you’ll want to join those that spend a lot of money, as in-app purchases made by one result in benefits for everyone in the alliance. Mobile Strike is like a present-day, military-oriented twist on Clash of Clans, which means it’s driven by human vs human battles. That means you have to set up your defenses so you can be sure your base is safe from invading players. Like other games of this kind, you’ll get a 24-hour shield that makes you invulnerable to opposing player attacks; make good use of this 24-hour window to bolster your defenses, such as your wall. Have enough traps in your base, and also train your soldiers so you can have them defend your base as well. The daily and alliance missions guarantee that you’ll have more than enough resources, but if you want your base to keep up with that incoming flow of resources, you’ll want to focus on upgrading your production buildings, such as your farms, oil wells, mines, and others. Keep your production high in tandem with accepting the daily and alliance missions. The bouncing box you see at the bottom left corner of the main menu is a supply crate that you’ll want to collect. These crates come with random freebies, and you can open the crates every couple of minutes, which makes it totally worth it. But take note that you’ll have to wait progressively longer the more frequently you open these crates. Before attacking an opposing player’s base, you want to know what you’re getting into. That means scouting the base or resource tile to check the state of their base and their army. Who knows – you might even find an abandoned base, which will be fair game for you and your army. These bases do not have any defenses whatsoever, but they keep on producing resources, allowing you to scamper away with some resources of your own once you defeat those bases. Although, it’s you who’s technically leading your troops to victory, your army has a commander, whose stats and experience has an impact on how well your troops perform, and on how well you can keep your base up to speed. Each time your commander has accumulated enough experience, you can level them up, and allocate experience points towards different skills. 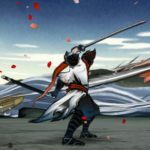 Try to focus on your commander’s strong points when it comes to allocating experience and leveling them up. 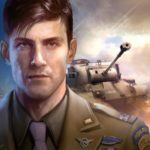 Mobile Strike is also similar in a way to Game of War, but with one key difference that you can’t find in the latter game. That’s because Mobile Strike includes an armory among its buildings; this is like the blacksmith’s shop in fantasy RPGs, as this is where you can make your own weapons and armor with materials and mods. You can gather mods by completing missions, while you can stumble upon materials in the daily missions, crates, and by breaking down manufactured items. You can buy mod crates and material crates at the alliance store with your Alliance Funds, though it’s the leader who’ll need to decide what to buy when to buy it. The reason behind this final tip is because you’ll need to connect your game to Facebook if you want to access the Gold Mine. This will let you give gold to your friends or alliance co-members, as well as receive gold in return from these people. Do you want to earn more gold and get more VIP points in the game? Then be sure to check out our second set of Mobile Strike tips, cheats and hints, which features some nice tricks on top of the ones listed above.